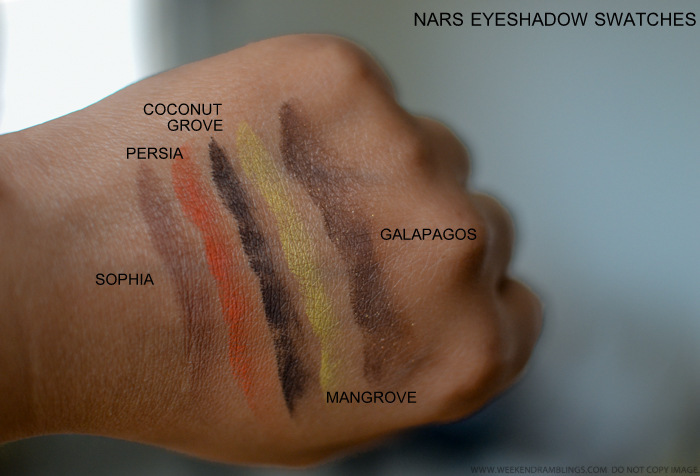 NARS seems to be a brand that is synonymous with blushes - rather, one blush - but my favorites from the brand would be the eyeshadows. 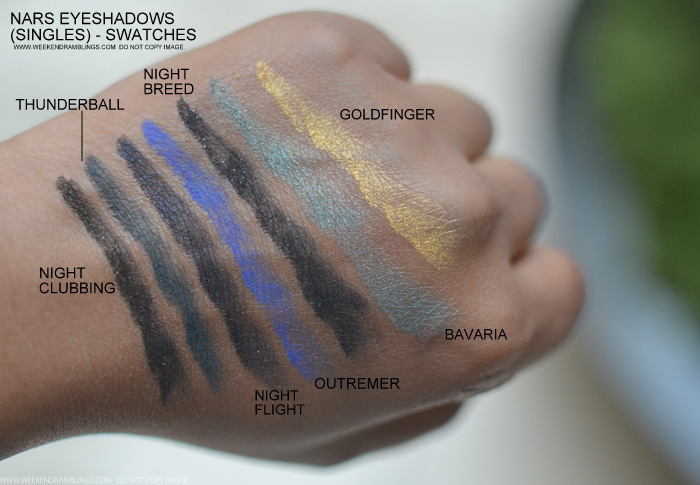 I have a bunch of single eyeshadows as well as a few duos, most of which are among my favorites. 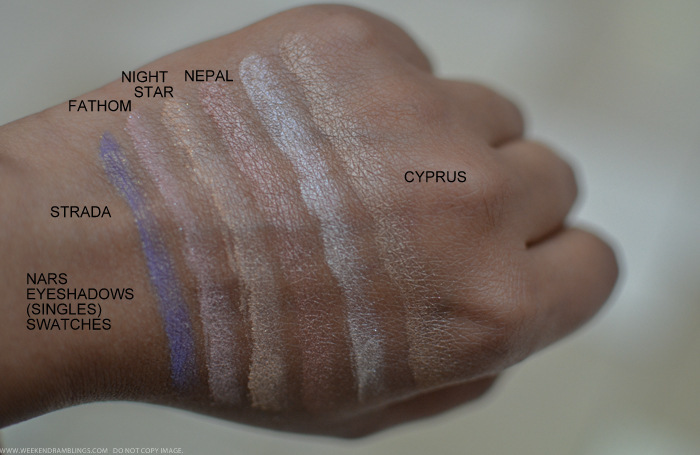 I haven't tried the recently launched Dual Intensity eyeshadows yet, and I amn't too keen on giving those a try either - haven't had much luck with wet-dry formulations so far. 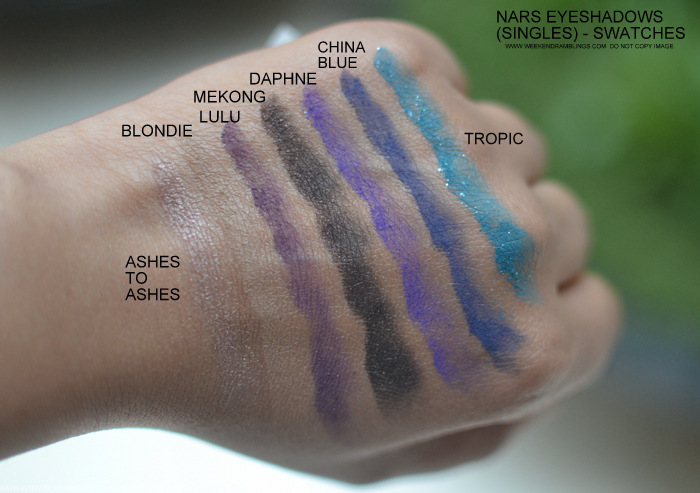 The older single NARS eyeshadows, though, I can't get enough of. 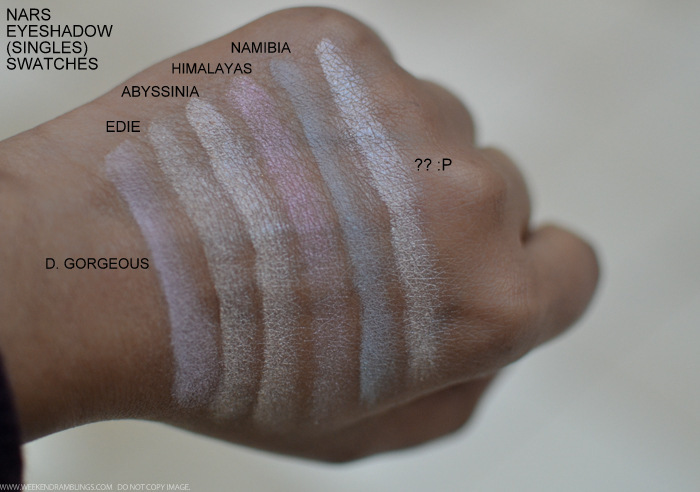 I swatched these some time back, and while this does help me with when I want to buy online, I do think the texture is something you just have to go to a counter to try. 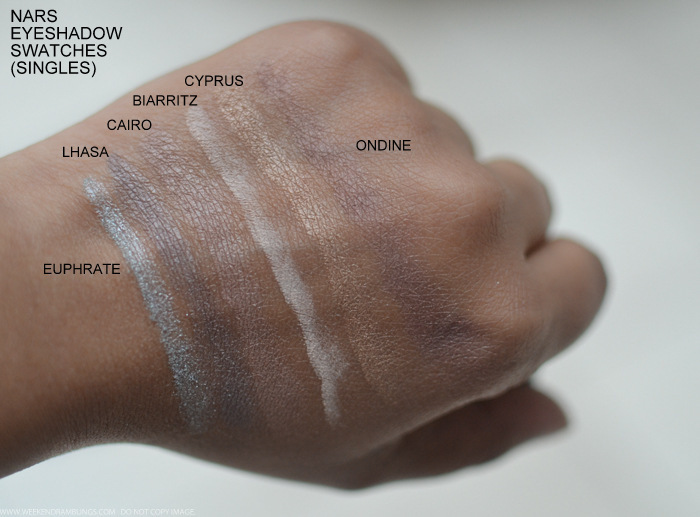 That said, scroll on for swatches on my darker Indian skin tone. 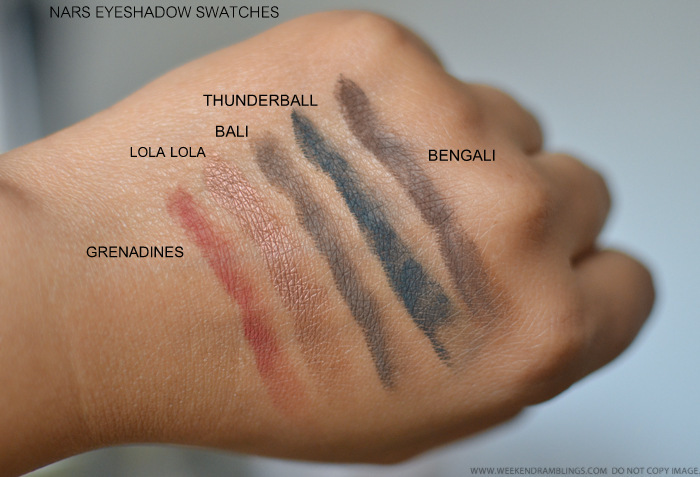 Among the ones I own, the warm neutral browns are definitely my must-haves - no surprises there! 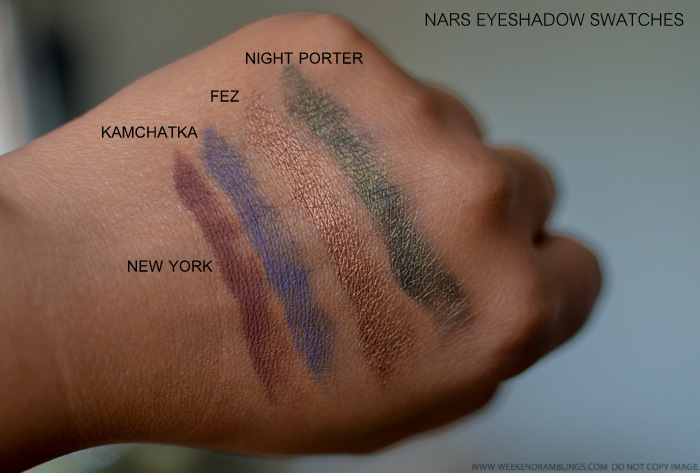 I find most of the NARS matte eyeshadows amazing with Kamchatka being the only not-so-great color. I have a few more on my wish list, starting with Mekong, which I have been hemming-hawing about for a while now. 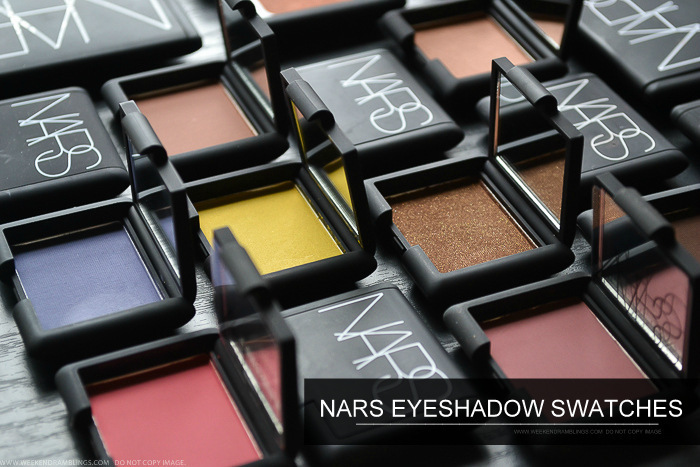 Do you have any must-haves among the NARS eyeshadows? Do share!